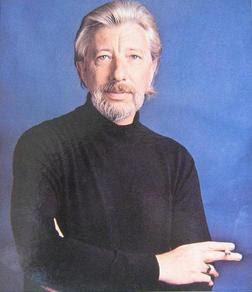 Raymond Lefevre was born on November 20, 1929 in Calais, Pas-de-Calais, France. He was a composer, known for Grand Prix R.T.L. International 70 (1970), The Troops of St. Tropez (1964) and Le palmarès des chansons (1965). He was married to Nicole Bernard-Savary. He died on June 27, 2008 in Seine-Port, Seine-et-Marne, France. One of his few film musics which were not composed for a movie directed by Jean Girault was “Déclic et des claques” (1965). In 1969 his recording of “La Reine de Saba” (Queen of Sheba) became a big hit in Japan. From 1972 until the early 2000s (decade), he undertook several successful tours of Japan. The career of the film composer Raymond Lefèvre was bound up with the one of director Jean Girault and the comedian Louis de Funès. He became famous with his music to the sequels around the Gendarm of St. Tropez with a De Funès in top form. He was accepted at the Paris Conservatory when 17 years old. He worked on the French television programs Musicorama (1950s) and Palmarés des Chansons (1965, 1966, 1967) accompanying such famous artists as Dalida, Claude François, Richard Anthony, with his own orchestra. Raymond Lefèvre is best known for his 1968 theme “Soul Coaxing (Ame Caline)”, which became an international hit. In 1953 he played the piano at the Hilton Hotel in Los Angeles. With his version of Gilbert Becaud’s “The Days the Rain Came” he managed the jump to the Top 40 of the US charts in 1958. During the early 1950s he played the piano for the Franck Pourcel orchestra. He started his musical career in 1956 on the Barclay Records label and recorded his debut album that year. Lefèvre conducted entries four times at the Eurovision Song Contest, three times for Monaco (in 1961 , 1962 , and 1963) and once for Luxembourg (in 1970). Besides his activity as a film composer he was also distinguished as a songwriter. During the late 1950s and early 1960s he accompanied Dalida on most of her recordings. Unlike Paul Mauriat and Franck Pourcel, Lefèvre stuck for the most part to standard easy listening orchestrations, and Lefèvre was less likely to incorporate rock rhythms or rhythm sections. He arranged and conducted nearly as many albums for the French label, Barclay, as Percy Faith did for Columbia/CBS in the U.S.